RIM has now published a Demo for the 8900 (Javelin) which follows the same flip page styling as we have seen for the Bold Demo. 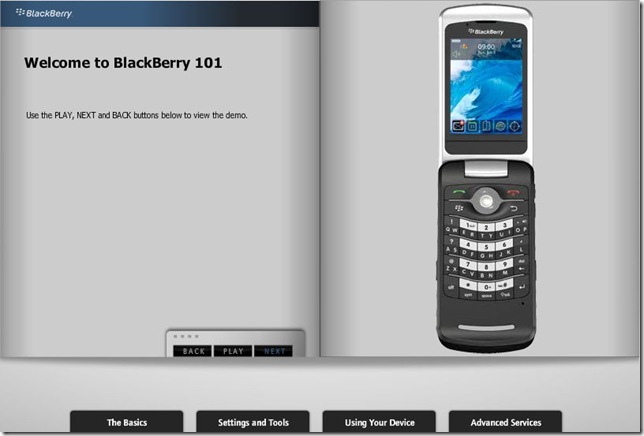 Not only have the released a demo for the 8900 but also the for the 8220 Pearl. 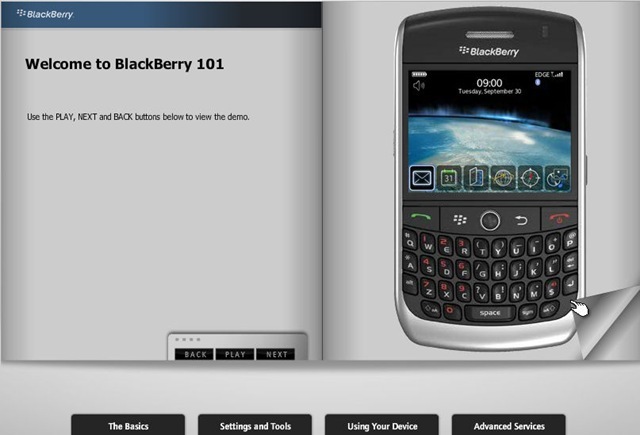 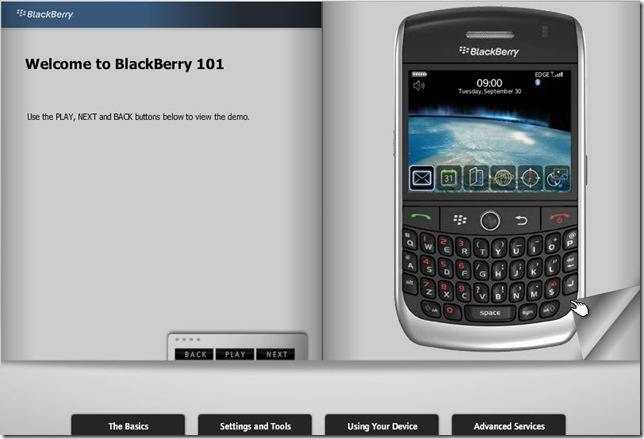 Like previous demo’s, it covers just about everything to get started with using your BlackBerry Device, from ‘The Basics’ to ‘Advanced Services’.